Contact Doable Finance dot Com! Most people work incredibly hard to earn a sustainable income, which in turn allows them to afford numerous modern comforts. Credit allows for individuals to borrow money and personal finances determine how much money you have outside of your job. Both of these items determine how much monetary influence an individual has. The problem is that credit and personal finances can become tarnished. While these things take significant work to rebuild, it can be done. 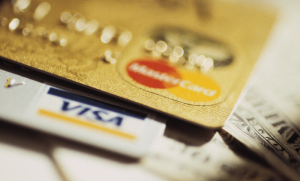 Rebuilding your credit begins with minimizing your expenses. Dining out is one of the most unnecessary expenses that can quickly eat away at your financial assets. Instead of allowing someone else to serve your meal to you, opt to make your own food. If you can’t cook, then investing in some cooking classes now will provide a lifelong way to cut costs. Creditors will look more favorably upon you when you contact them to settle debts that you owe. They prefer it when you come to them rather than forcing them to chase you. It’s important to note that contacting does not necessarily mean that you are agreeing to pay the debt. You may choose to dispute debts that aren’t considered valid. Problematic credit can be a nightmare. There may be intricate legal questions, settlements and other processes involved that you may not know how to handle. Even processes as seemingly simple as starting to repay your debts can be complex. That’s where credit repair agencies like Nationwide Credit Repairs can come in handy. They can guide you through the entire credit repair process and include strategies to reduce your spending while maximizing the amount you can repay at once. This can enable you to pay your debts off faster and with less problems than if you attempted to do so on your own. The first step to rebuilding your credit is to stop expanding your debt. This will make creating a net reduction in the amount you owe much easier. If you have to, don’t be afraid to lock your credit cards in a safe or to put them with someone whom will control your spending. If you have a significant amount of debt that you cannot pay back all at one time, then you may wish to make payment arrangements. These can prevent your debts from growing even more while allowing you to know exactly how much you owe to your creditors. Store brand merchandise may not always have the same quality as name brand products, but you tend to be able to save anywhere from 5 to 20 percent when you purchase store brand instead of name brand products. This savings can add up over time and allow you to pay off your debts more rapidly. Even if you square your debts and repair your credit, you might find yourself with bad credit down the road. The best way to prevent this from happening is to learn how to control your finances. While there are courses that can help teach you how to balance your checkbook and when to take out loans, nothing beats common sense that can help you make sound judgments. Depending upon how much debt you might have and your current income levels, you may find that the road to good credit with financial freedom is a long one. Reaching the end will take a large amount of determination, but the results will be worth it. No matter what happens with your credit, just be sure to take it one step at a time. If you motivate yourself to continue moving forward, then the day when you have financial freedom will be closer than you realize. This is not a billboard for your advertisement. Make comments on the content else your comments would be deleted promptly. Follow Doable Finance dot Com Comment Rules. Donate to our website via PayPal. Any amount is appreciated! Why shouldn’t David Cerullo build a $4M home?